Cellphone stores various files for its users, for example contacts, photos, music, videos, documents, etc. and these files means too much to us. It’s not acceptable to lose all these data. But unfortunately, phones are just electronic machines and they can suffer from data loss due to many reasons which might be device broken, system crash, accident deletion, factory resetting, virus infection and more. Losing important files which do not have backup is stressful. What are you going to do if you get into such a sticky situation? 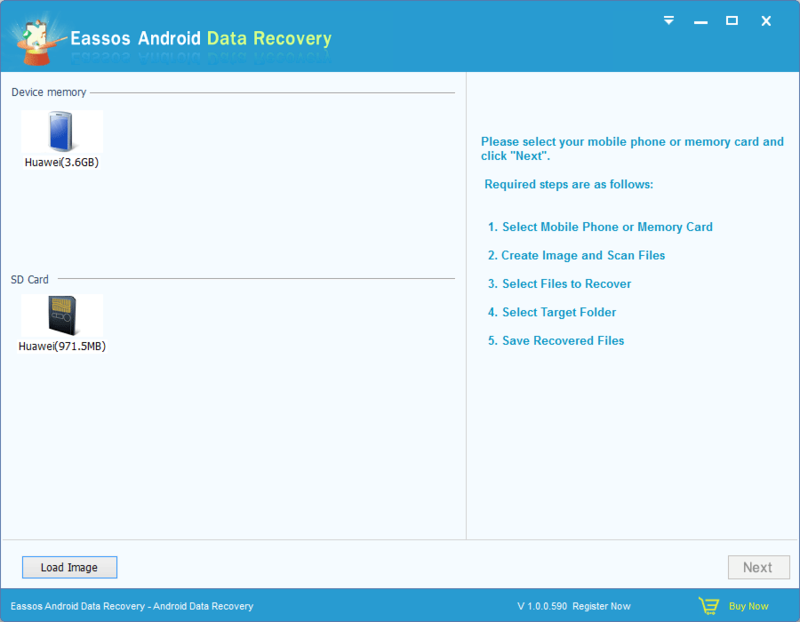 This article will show you, step-by-step, how to recover lost data from Android smartphone. One of the easiest ways to get back lost Android data is using efficient recovery software. Since data recovery software will do the searching and recovery work, you don’t need to acquire adequate knowledge or being expertise to recover data manually. What you need to do is downloading the right software and click mouse button when necessary. 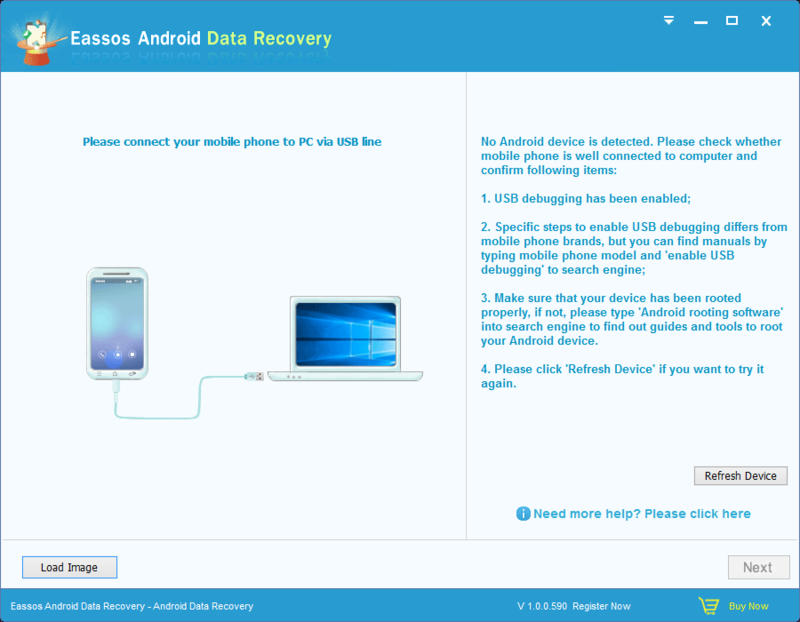 Eassos Android Data Recovery has the ability to retrieve all kinds of files from phones and it is fully compatible with almost all cell phones that are running Android systems, including brands Samsung, HTC, LG, Sony, HUAWEI and so on. One thing you should keep in mind is to stop using the Android phone immediately after files get lost. Otherwise lost files will be overwritten and lost data can never be recovered. Note: The recovery process needs root privilege of your phone. If you haven’t root it, then root it first by following the guide Root Your Android Device. Step 1: Connect your Android phone to computer using USB cable. 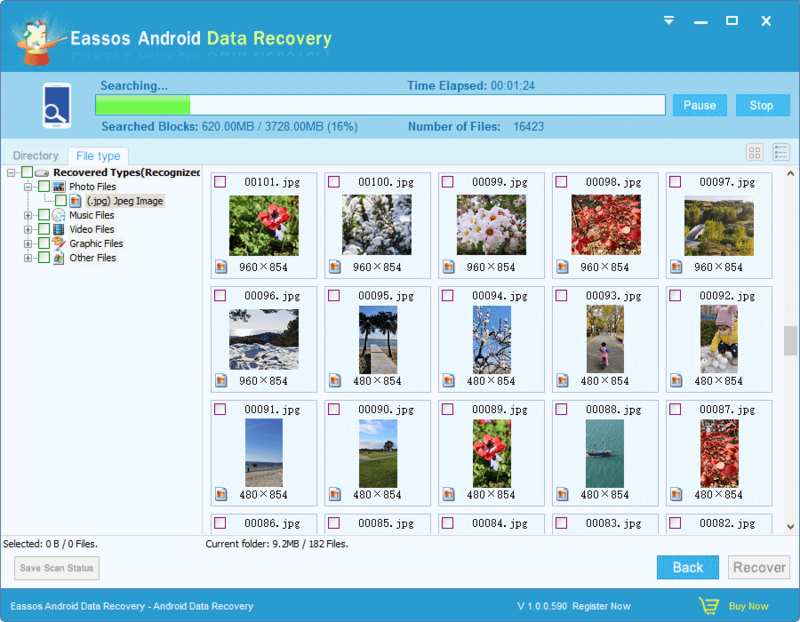 Download and install Eassos Android Data Recovery on your PC. Then Launch it. Step 2: After the software recognized your smartphone, select storage device which loses files and click “Next” button to scan it. Step 3: Preview and recover files. When scanning completes, you can preview files found out by the software. Select those files you need and click “Recover” button to save them on a safe place on your computer. This entry was posted in Android data recovery and tagged android data recovery by EASSOS. Bookmark the permalink.